Warcraft 3 Themes - Customize Your Warcraft 3 Appearance! 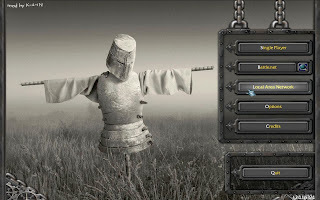 Here comes a set 46 Warcraft 3 Modded Themes (by K-4-iN) which can make your Warcraft 3 stylish by customizing the old background animation and buttons texture, it doesn't change anything inside the game. These themes are available for Normal & Widescreen resolutions and comes with 7 different color chains. Check out the Warcraft 3 Themes preview & installation guide. This compressed file contains 46 different Warcraft 3 Mods with their previews. • Download the Warcraft 3 Modded Themes from the links above and extract the compressed file to any folder using WinRAR. 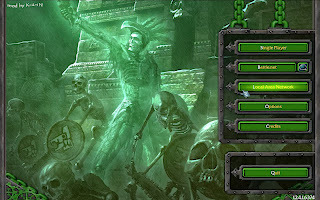 • Select your favorite Warcraft 3 theme from "Themes" folder, you will find screenshots there of every theme along with their installation files. • Now, Run "CUSTOMBG.reg" and copy the "Textures" and "UI" folder to your Warcraft 3 Installation Directory. • Your Warcraft 3 theme is installed! 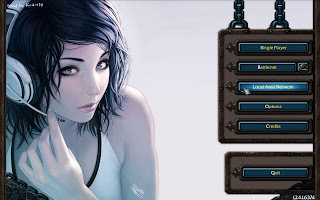 • If you want to uninstall your Warcraft 3 theme, just remove the "Textures" and "UI" folder from your Warcraft 3 Folder and Run "UNINSTALL.reg" file from your Warcraft 3 Themes directory. 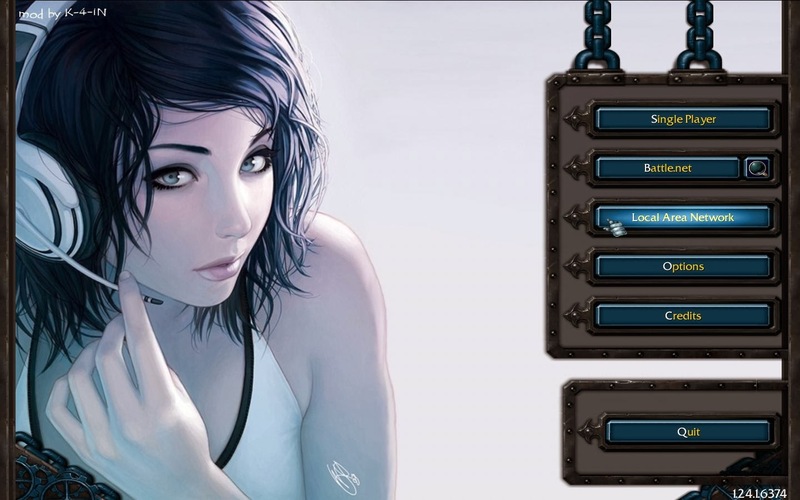 • Your Warcraft 3 must be closed during the installation of the modded themes. • If you do not have functioning background of your theme, go your "Passo2" folder from your selected theme directory. Move/copy the folder "UI" into the "Warcraft III" directory and replace the files. • All credit goes to K-4-iN for making the Warcraft 3 Mods. • If you have any problems, just post a comment! File is up now :) Enjoy! It's a great mod for appearance. I was looking for this for 2 years and couldn't find it but here it is! This is the best DOTA SITE EVER ! ! ! i like dis dota utilities your tha best dota website ever!! 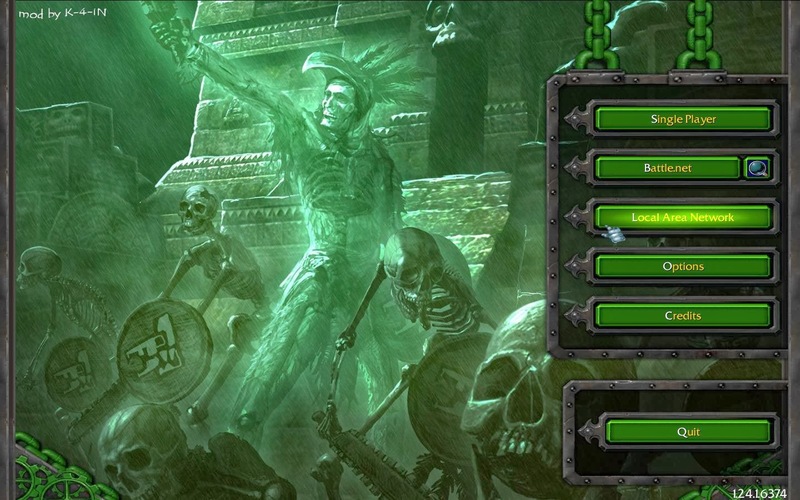 can't get the background to work ... chains and menu is colored but the background stays the one from frozen throne... tried with copying ui from passo2 too... could it be that i've changed backgrounds with wc3diabolic tools ? nice pictuers where can i find them?? It looks so great!!! Thank you so much, K-4-iN! plzz help me it said when i run CUSTOMBG your admintrator blh blah,,what will i doo?? thx for these theme's ... Thx God For you ... :x K-4-IN RESPECT MAN !!! the bakround didn't change i follow the instruction why? If your background is not changing put the "UI" folder inside "passo2" directory into Warcraft 3 Folder. yow! its so cool! hope this work! this the best site ever!!! yes it works!!! cool!!!! thanks a lot .. keep a the good work !! this site rules!! did someone know how can i make my own themes? but it's better if it's animated..
when running CUSTOMBG, it says administrator bla bla bla..just click yes or confirm or agree or whatever it says. for those hu wan to make their own background, there's a readme guide provided, just follow the instruction.. In the readme file, it says to replace the tga file with the one we want.Just do that by changing the extension of your pic file to tga(eg: mypic.jpeg---->MainMenu.tga)..
"- The background picture is located under UI\Glues\MainMenu\MainMenu3d_exp\MainMenu.tga. To make your own background picture, you can simply replace this tga file with any other tga file. The picture will be stretched to fit the screen so any size will do, the higher resolution the better quality - The picture must have an alfa channel, so if you convert from .jpg just add a completely white channel called alfa"
taken from the readme guide provided in the Warcraft3-theme extract file..I don't quite understand the last sentences..What alfa channel? or white channel? Anyone? Do me the favor, and STOP using hotfile OR make MegaUpload mirrors. can i make my own theme by converting any pictures into war3 file type? Tifa theme is Not Working. Make sure you run "CUSTOMBG.reg" as administrator. Otherwise, It won't work. can we restore it to normale ?! lol its very heavy file..
nice.... we want more themes && does any1 know how to make your very own one ? i guess my problem is the worst .. i can't find the CUSTOMBG.reg =_= any suggestion? thank you so much sir its working haha its nice xD 1 question how to comment? great. very good work. thank for all. -sean u dont need install winrar. How about huskar ,omniknight, anti mage or Moonfang for the theme? I really love that man u are the best!!! i tink dota died long ago. for the one's who used ru theme wizard.... just go to ru theme wizard n click "backup"....n then follow these procedures....that would do!!!! Did this themes work on all version of DotA ? hope to comment back on this. . .
ru-theme wizard I had installed and when I put War3 theme has not changed the image but changed color .... help? 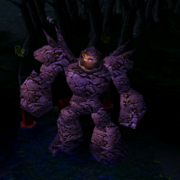 Why i had already Copy the ''UI'' and ''Textures'' to the Warcraft..but it still not working? Hey why the custombg is not working it says that the registry editing is disabled by manager? how can i fix this? The Best, wish u have PORNED backgrounds. Hi. Sorry i did post my email.. I didn't read the instruction.. my bad..
RU THEME WIZARD.. But the question is how can i remove it? There's no uninstall program.. When i follow this.. The Button's color changes but not the Background..
how to change the background??? Man Background wont work, even when i use the patto2 folder. Can it be because i have WC3 Diabolic tool? very super ultra mega COOL and AWESOME!!!! but ''beach'' and ''music '' theme is waaaa!!!!! do more a thousand themes!!! wow! wow! two thumbs up.. HOT!!!!!!!!! Loved It !! !, I'm currently using the Fallen Angel theme, so cool ! go to passo folder n copy d UI folder n paste it in warcraft folder...that should do it!!!! It says registry editing has been disabled by your administrator, but i AM the admin, how do i enable registry editing? hi.i have a problem here.kindly need help from you guys.when i run the custombg.reg,it say it is invalid Win32 application.any idea how to fix it? The last one is HOT! Hi i have a problem the buttons change colour but the wallpaper doesnt.Using 1.24d can help? when I run the custombg. it was disabled by the administrator. but im the adminisrator. Run that Ru-theme wizard,select "Back-up" . Now all u gotta do is relax and follow steps of warcraft-3 theme changer. some how since i changed my warcraft background i can't host games any more? can some1 plz help me?? can i change the background with my own picture? CAN YOU MAKE A VIDEO ON HOW TO DO THIS?? thx for the theme!! !i love it it is awesome!!! what is ALFA Channel ftw ?